19 weeks. Wow. This means I've surpassed the number of weeks I spent training for any other race including my half Ironman. Five weeks till the marathon. This week was a good strong week for me! Swimming finally made a return in my schedule! And bonus! I didn't feel like I was drowning which is fairly typical when I haven't been swimming in awhile (months in this particular case). I was even able to still do 4x100 on 1:45's (repeating a 100 yd swim every 1 minute and 45 seconds) which is definitely slower than I was while training last summer, but much better than I was when I first started swimming regularly. Improvement! Running after work in the sunlight is making me really happy. 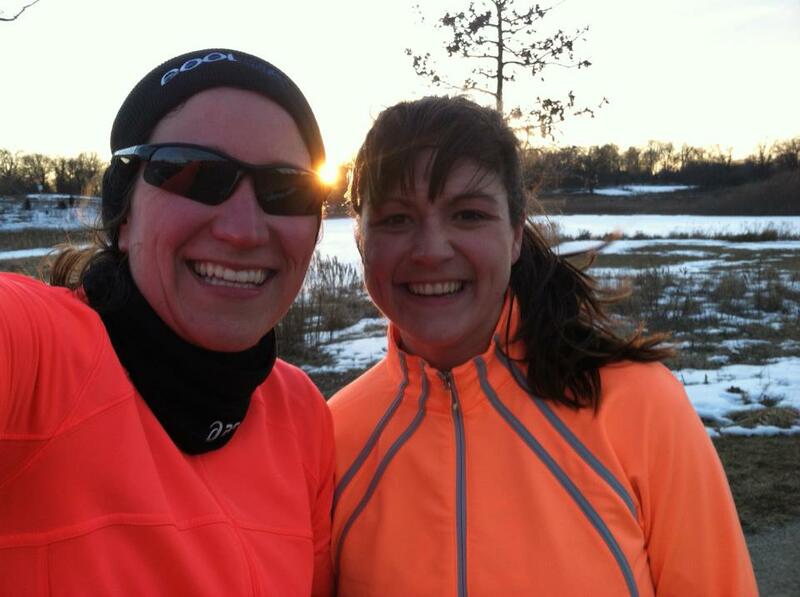 Thursday's tempo run was still completed on the treadmill, but on Tuesday night I met Kim for a run. Having someone to chat with made the run go super fast and I felt great. After a 20 miler last weekend, I expected 14 miles to feel easy. But my head wasn't in the game this week and I slogged through it. It wasn't a terrible run it just felt long and drawn out. This is another reminder that running/training for a marathon is about mental strength and endurance as it is about physical strength and endurance, if not more. When I am tired, I always want to stop and walk but I don't need to (most of the time), but I do anyways because my mind says my legs are tired. Hills are the biggest challenge for me in this aspect. They are hard and therefore I think I deserve a break, but I need to keep pushing and charge up the hill because I am strong enough to do that. These are great lessons for me as I am running the marathon as well. I am strong enough to keep running. What is your biggest mental running challenge?